My best friend often teasingly tells me that the books I recommend to her are all too depressing and sad. I always counter that I recommend books that make me laugh. Now, that either means that I have a sick sense of humor, or it simply illustrates that the stories I most enjoy reading combine painful topics and awkward characters with humor, sarcasm, and witty writing. 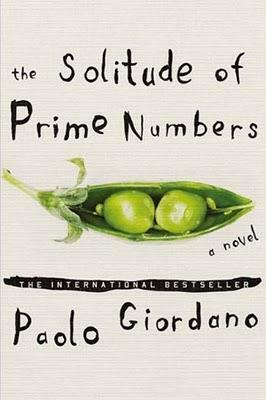 Paolo Giordano’s The Solitude of Prime Numbers is exactly such a book. Giordano’s debut novel is the story of Alice and Mattia, two awkward and painfully lonely teenagers. Alice is marked by a childhood skiing accident that leaves her limping and deeply insecure about her body. In those cruel teenage years, she develops an eating disorder in an attempt to regain some control over her body. Mattia is haunted by suffocating guilt after the disappearance of his twin sister when he was nine years old. Alice and Mattia connect over their pain, their awkwardness, and their acute sense that they don’t fit in. But their bond is fragile, subtle, and built on a silent agreement that neither reveal the source of their pain to the other. Even in their connection, they remain isolated and lonely, never fully able to overcome what keeps them emotionally locked into their own worlds. Eventually, their lives go in different directions and they separate, without ever openly communicating what they feel for each other. But despite being thousands of miles apart, neither Alice nor Mattia is willing or able to let go of their unusual bond. Reunited by a chance encounter, they are faced with a decision: to truly let the other in or return to a life without the other. Giordano masterfully paints a world full of pain, loneliness, and love. While the humor in The Solitude of Prime Numbers is very subtle, it is there, in the background. It makes the tragedies bearable, the loneliness less hopeless. So yes, this novel is sad and depressing. But it is also incredibly powerful, and it will make you chuckle softly from time to time as you follow Alice and Mattia in their struggle to survive their childhood experiences.